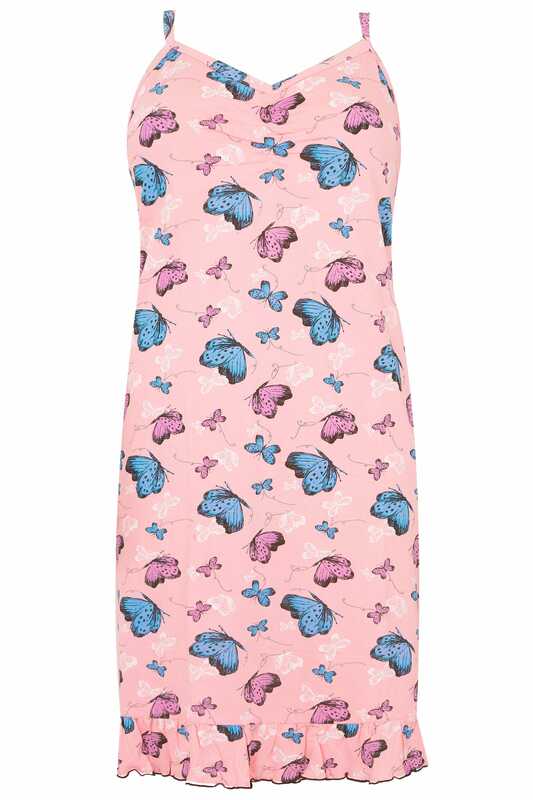 Elevate your nightwear collection with this nightdress. Super-soft and comfortable, it features a v-neckline with lace detailing and a pretty frilled hem. 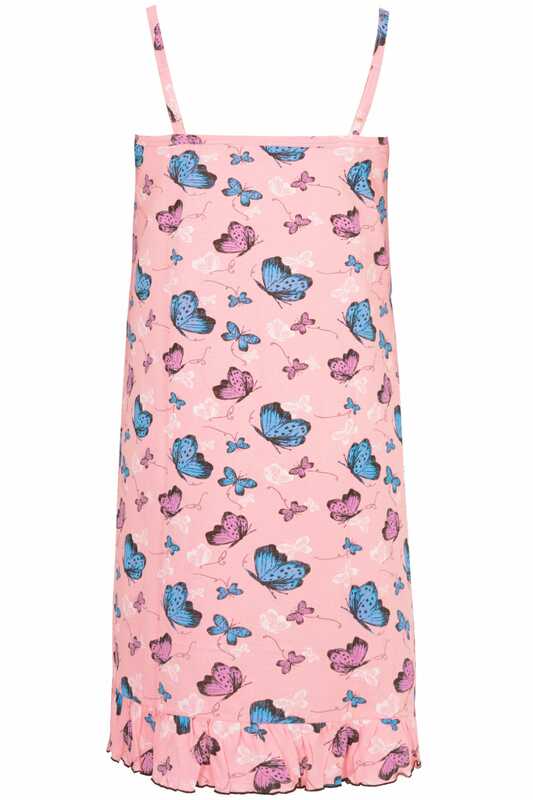 We are loving the black and pink butterfly print.